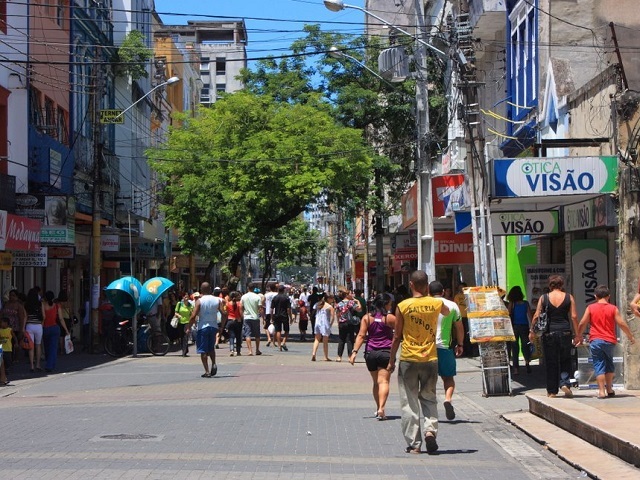 Last year, Recife (pictured) became the first city in Brazil to introduce car sharing in an effort to curb congestion and expand mobility options in the city. Photo by Marcio Cabral de Moura/Flickr. Mobility is a necessary part of urban life; the challenge is to make it more efficient. Collective transport solutions like dedicated bus lanes, bus rapid transit (BRT) networks, bike share systems, and others already exist in many Brazilian cities and are gaining in popularity. But so far, Brazilian cities are only just beginning to explore car share programs as viable alternatives to private car ownership. Car sharing has the potential to transform the relationship between people and cars because it substantially reduces the space dedicated to parking and eliminates the need to be responsible for a vehicle when you’re not even using it. Car2Go, for example, is a simple system operating currently in the United States, Canada, and Europe. After registering online and receiving an access card in the mail, members can search online or via a mobile app for cars that are nearby and available. The more people using the system, the more it reduces the amount of space needed for parking and the number of cars on the roads. One study analyzing data from ten metropolitan areas in the United States with car share programs like Car2Go even found that for each car available in the program, 32 private car sales were avoided. The northeastern city of Recife recently inaugurated the first system of its kind in Brazil. Last December, PortoLeve began offering a small fleet of cars for a monthly rate of US$30—extremely affordable when compared to the total cost of car ownership. An additional feature of this program is that it encourages people to share trips together to reduce costs and optimize collective traveling. Later this year, the company plans to open more electric car stations to meet increasing demand. At the opposite end of the country in Porto Alegre, a similar initiative is in progress. Students of the Federal University of Rio Grande do Sul (UFRGS) came up with the idea for an Intelligent Vehicle System (Sivi), an application that will unlock select vehicles on one campus and allow students to return them on another. The project is experimental and will only serve two campuses in the testing phase, but has the chance to expand to cover the entire city if trials prove successful. The potential of sustainable urban mobility is seemingly limitless given the innovative and creative solutions that are currently sprouting up around the world, but it still requires strong leadership to take the next steps. Technology is helping Brazilian cities develop car share programs, but city leaders need to be ready to support the sharing culture so that this alternative to car ownership is successful. Integrating public transport, cycling, walking, and car sharing into one cohesive system can expand the range of mobility options at play and give people greater freedom to choose how they move in their cities. This article was originally published in Portuguese by TheCityFix Brasil.